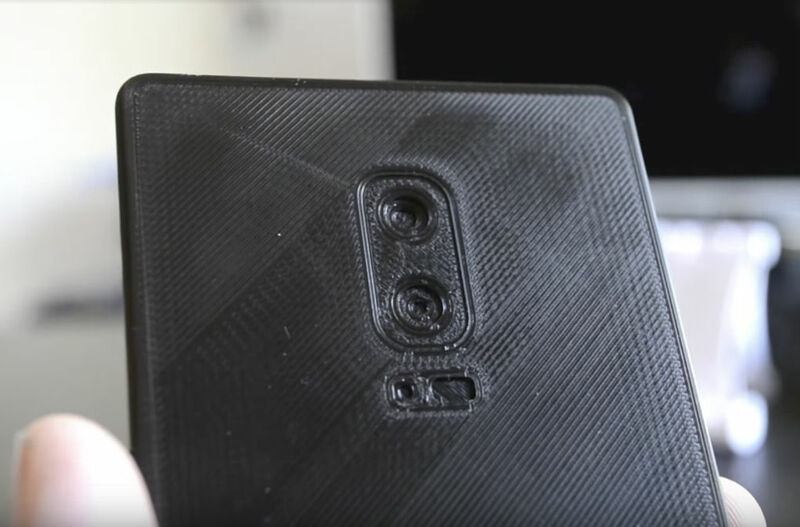 Making the rounds this morning, the Concept Creator channel on YouTube published a video that details a 3D-printed Galaxy Note 8, based on 3rd-party concept sketches. Typically, you won’t find us too excited over concept sketches, but the fact that they went ahead and printed the thing, then detailed it in a video, we can’t help but share. Now, according to the original concept sketch that this model was based on, Samsung would look to introduce dual rear-facing cameras — a first for them. Additionally, on the bottom we can see where the S Pen would be placed, as well as a 3.5mm headphone jack. Where things get a little iffy is the speaker(s). According to this model, the Galaxy Note 8 would come with not just one speaker, but three. There’s one on the bottom of the device, just like the Galaxy S8, but then another on the bottom chin and one on the top forehead by the front-facing camera. I could see Samsung wanting to provide stereo speakers, but three? That does seem excessive for a company appearing content on building in just one on on pretty much all of its smartphones. Another tidbit we must point out is the apparent lack of a fingerprint reader. Again, this is based on a concept sketch, but with that said, it seems the original designer thinks Samsung will indeed go with an embedded technology on the Note 8, skipping the need for an added reader on the backside. We won’t dive into our thoughts on any of that, provided we’re still a ways from any official unveiling. Check out the video below, then share your take on this design. For the most part, I like it, but only because the fingerprint reader isn’t in the worst possible location. Also, please try to refrain from saying this video is “fake news” because it didn’t burst into flames.